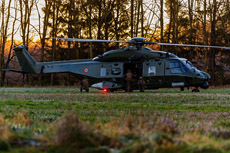 In the weeks of November, 14 until November, 30, 2016, the exercise Black Blade took place at the Belgian airbase Florennes. 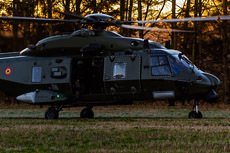 Black Blade 2016 is one of the exercises in Europe, which took place as part of the Helicopter Exercise Program (HEP). 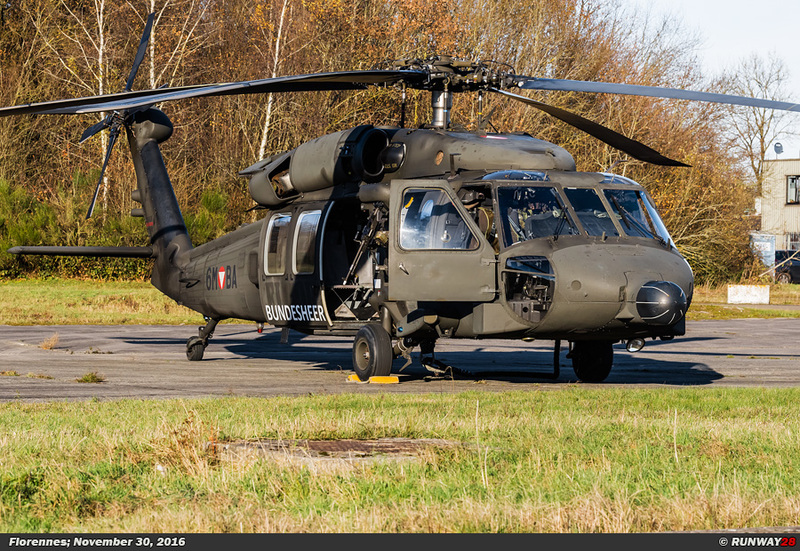 Black Blade 2016 is a tactical training and will take three weeks. 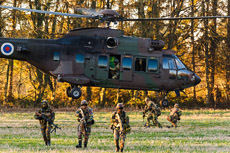 During the exercise Black Blade 2016, especially operations with the Special Forces would be trained. 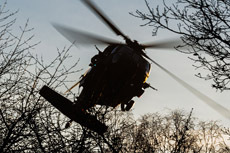 The training also contained fast tactical missions. 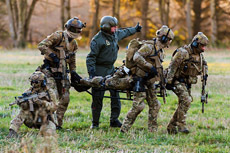 Black Blade offers participants a unique opportunity to train the planning and execution of these kinds of missions within a common framework combined with the European partners. 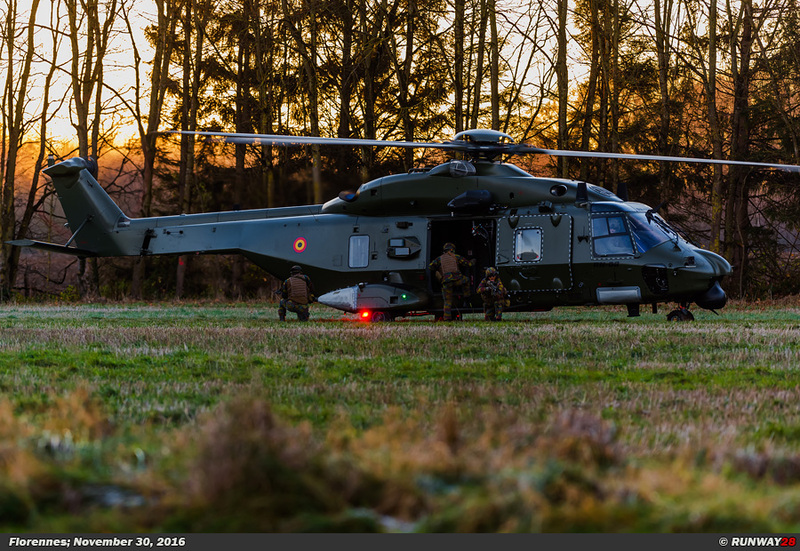 During the exercise Black Blade several European partner countries participated. 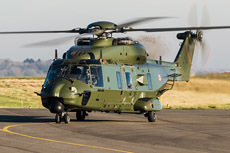 The helicopters during the exercise were supplied by three countries. 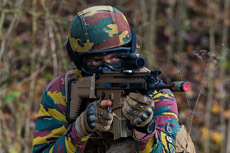 The first participating country which also operated as the host of the exercise was Belgium. 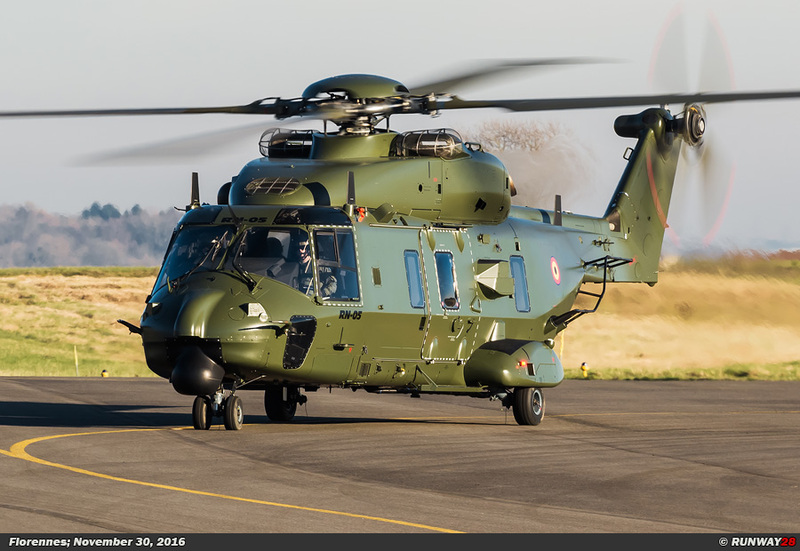 The Belgians took in total part with seven helicopters during the training. 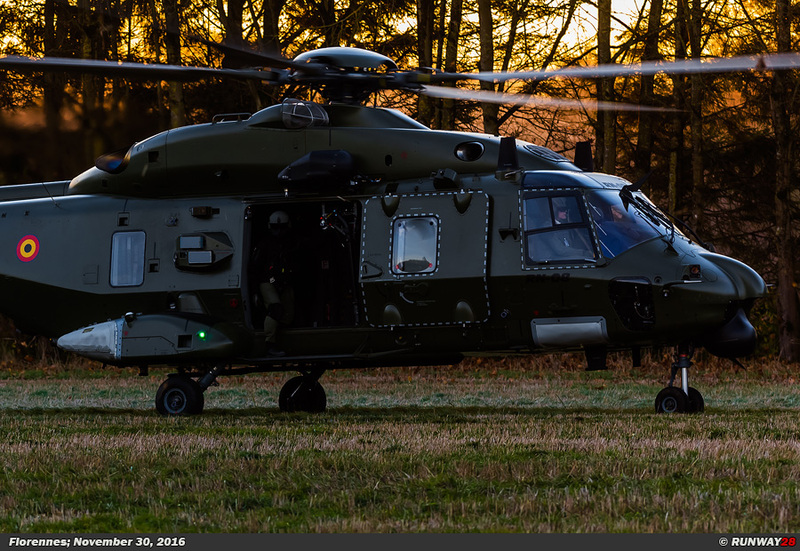 In total, the Belgians operated with two NH90 Caiman and five Augusta A109 helicopters during the exercise. 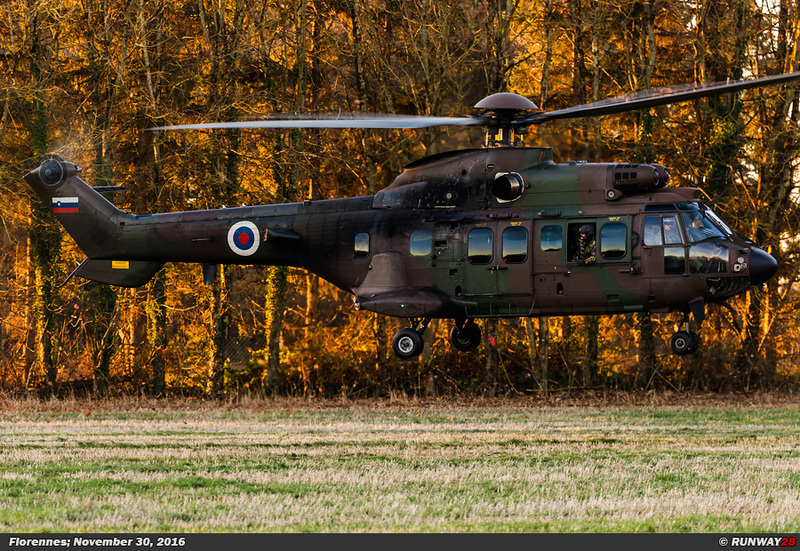 All helicopters of the Belgians are from Beauvechain where the helicopters are assigned to the 1 Wing. The second participating country was Austria. 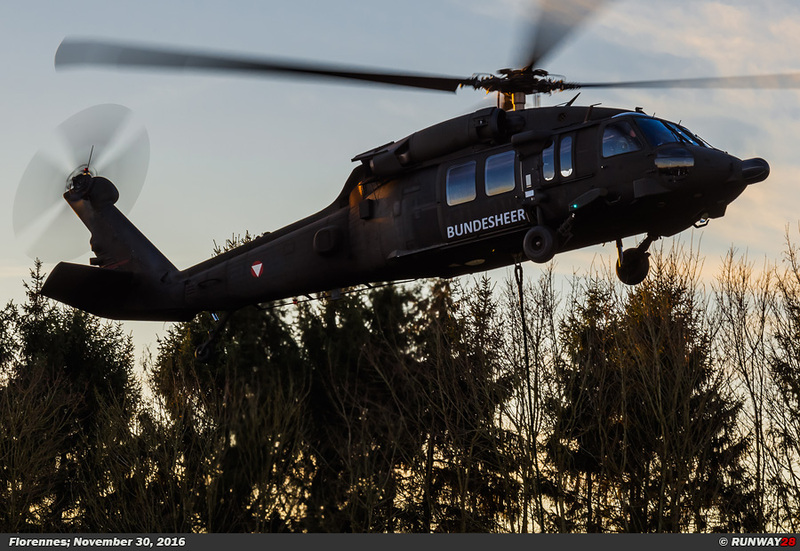 The Austrians participated with two S70 Blackhawk helicopters from Tulln-Langenlebarn and three Augusta-Bell AB212 helicopters from Linz-Hörsching. 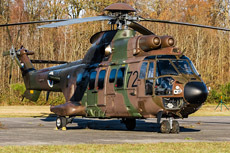 The third and last country which provided helicopters for Black Blade was Slovenia. 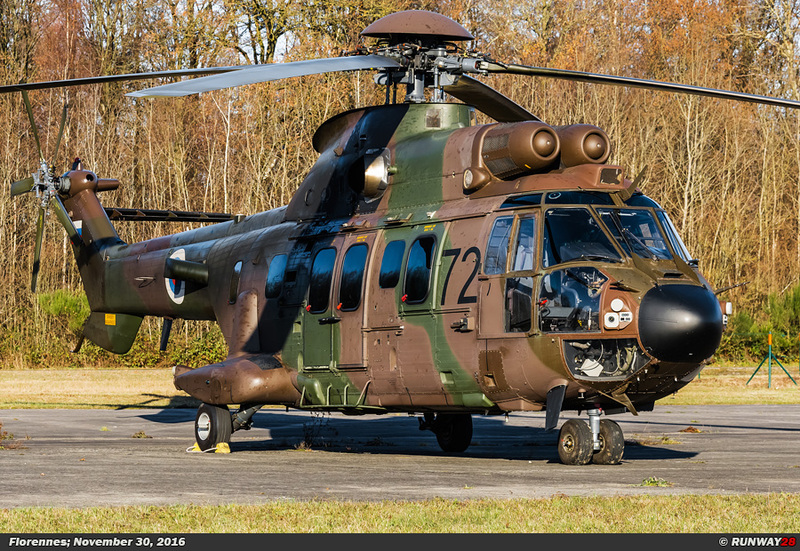 The Slovenians participated with only one AS532 Cougar which came from Ljubljana. 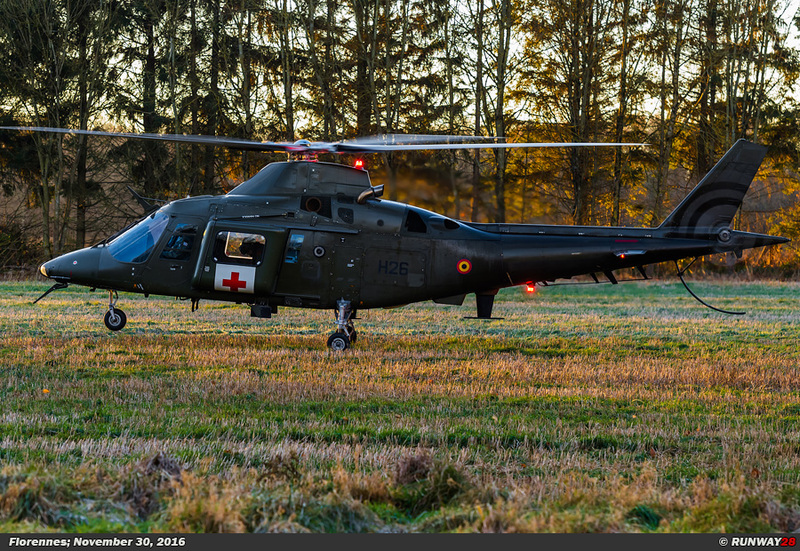 The helicopter belongs to the Slovenian Helikopterski Battalion. Besides the actively participating countries, there were also observers from Hungary, Italy and Switzerland present during Black Blade. 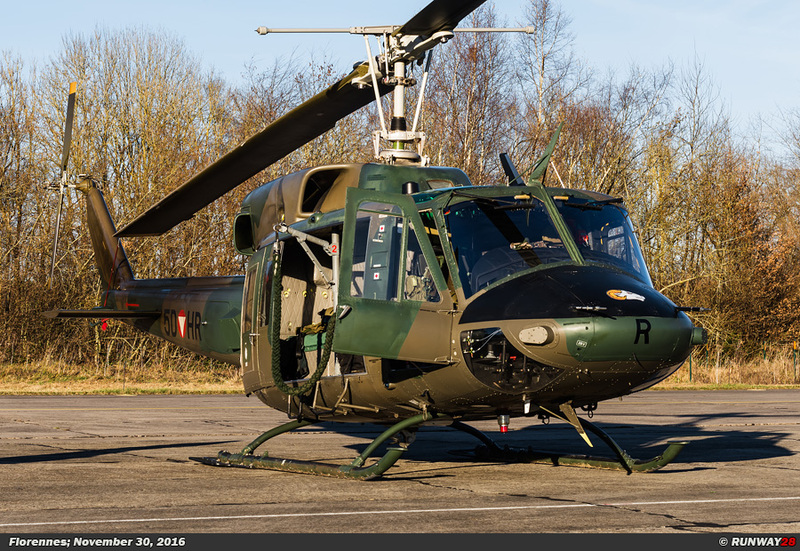 During the missions the helicopters would operate from Florennes Air Base. 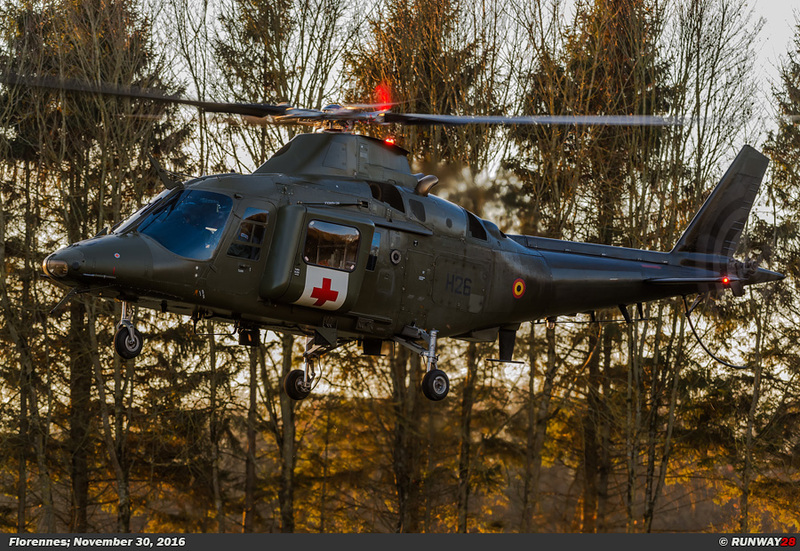 The missions were flown at various locations in Belgium. 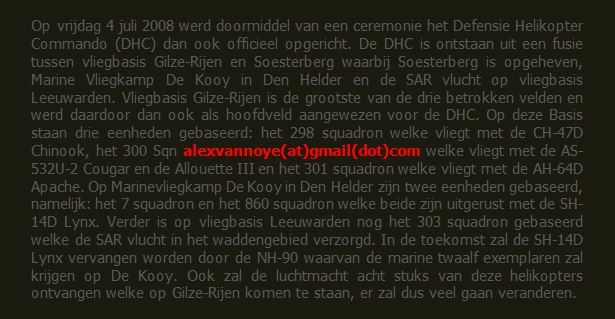 Some sites which were used for various scenarios were Camp Elsenborn in the Ardennes and Arendonk in the north of the country. 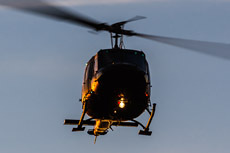 Most of the missions were flown after sunset. environment. 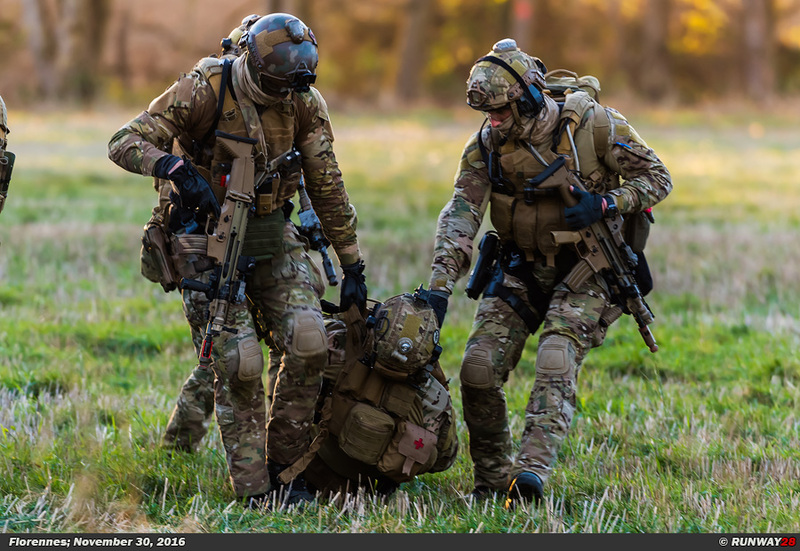 Participants will learn during this training how to deal with each other's equipment. It is also an important goal to work closely with the Belgian Special Operations Forces (SOF) both on the ground and in the air. 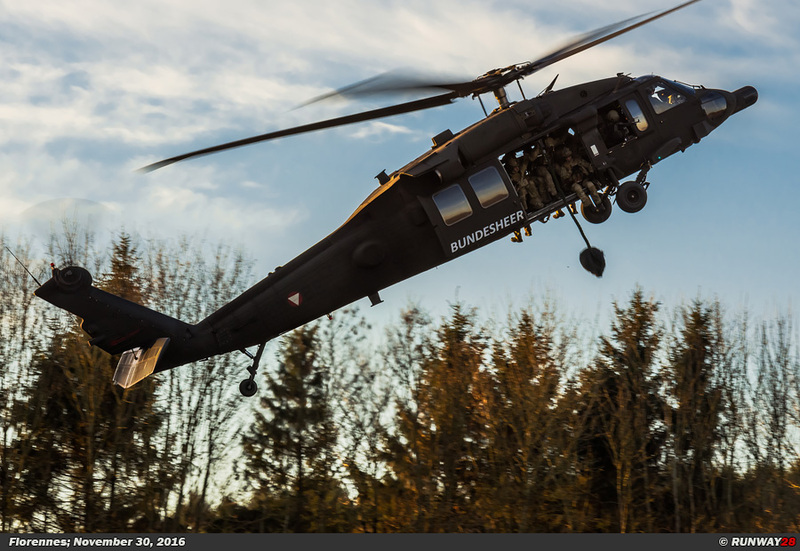 The second major aim of the exercise is to integrate routines to maximize interoperability during normal operational tasks. 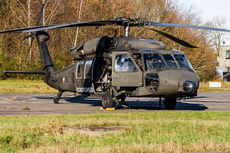 Aspects which were trained are actions such as low level flights, formation flying, FARP training, artillery deployment, etc. 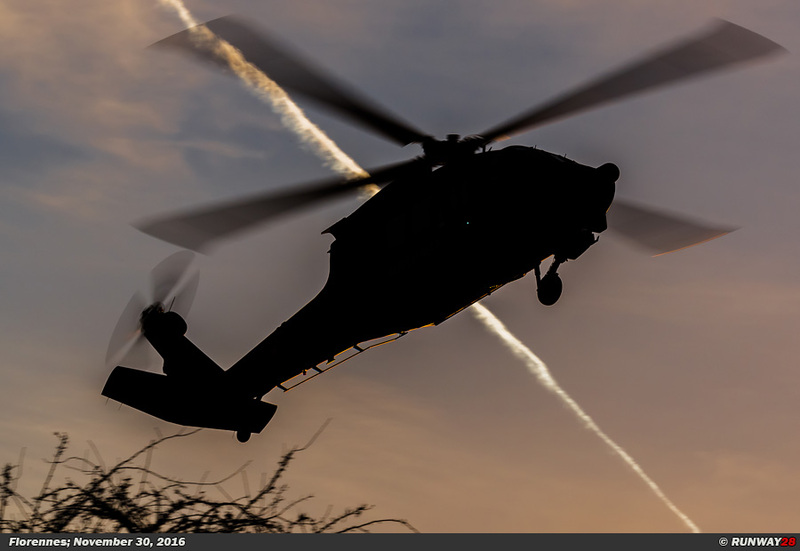 The units will fly a diverse range of missions which are practiced during the day and at night. 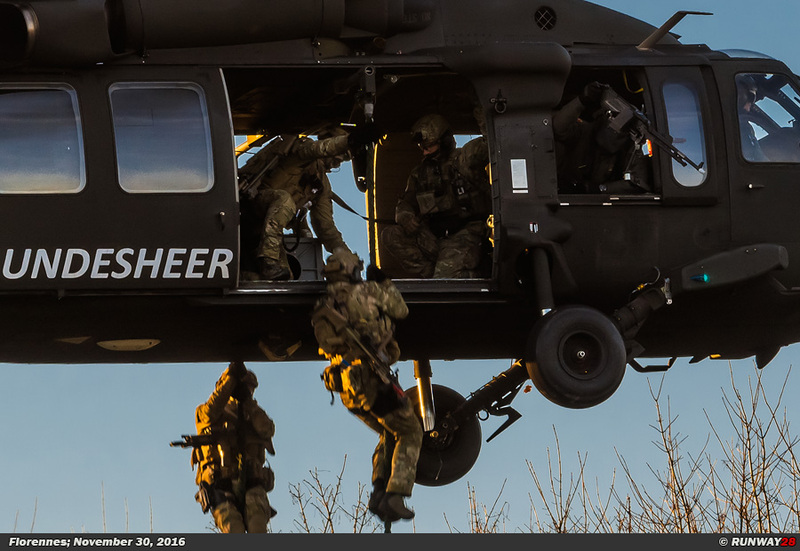 During training these skills are central to the deployment of the Special Forces. 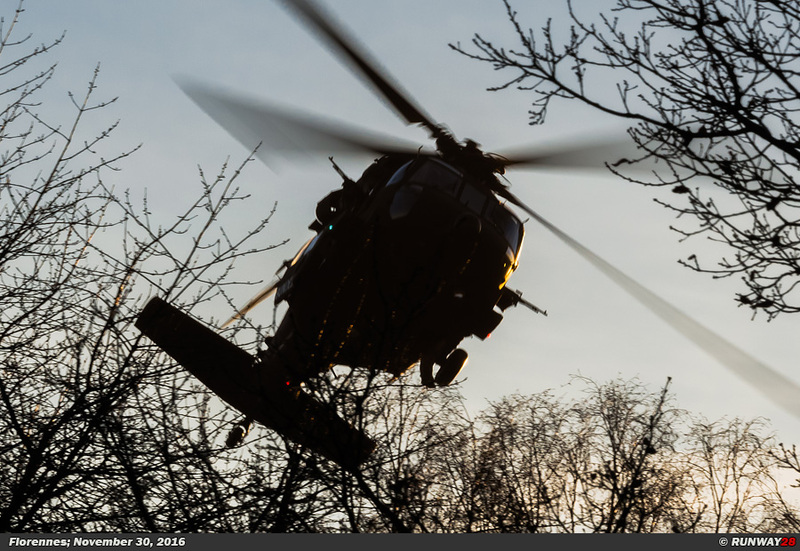 To perform such kinds of SOF operations, helicopter crews need to practice different skills such as Personnel Recovery missions, night flights, MEDEVAC missions and Close Combat Attack (CCA) missions. 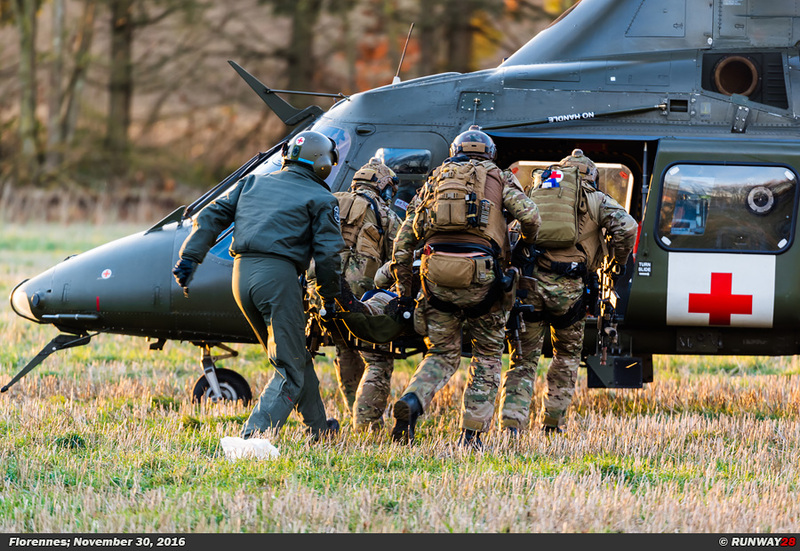 The special procedures which are practiced during SOF operations are different. 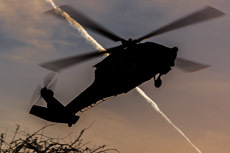 The special SOF mission is the fact that most of the missions are flown around sunset and after dark. 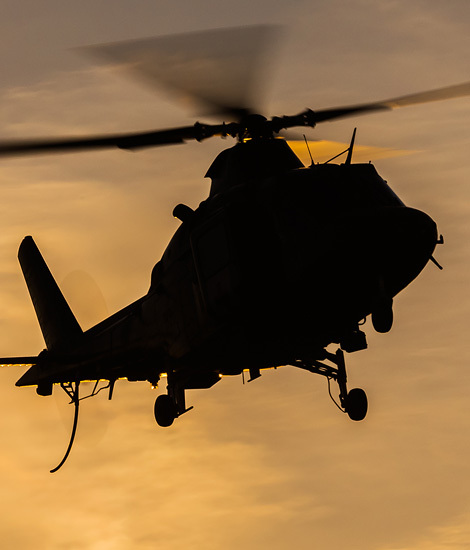 The darkness element ensures that crews of the helicopters need to plan their mission even better. The first specific technique which was trained was the so-called Fast Rope technique. 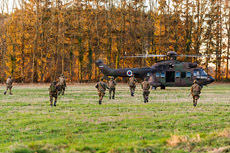 During Fast Rope actions the helicopter will go into a hover above a small area and soldiers will slide down along ropes for a rapid intervention action. Another technique which is used is an unprecedented intrusion into a field by skydiving from a helicopter; the SOF soldiers are jumping out of a helicopter from a medium altitude. 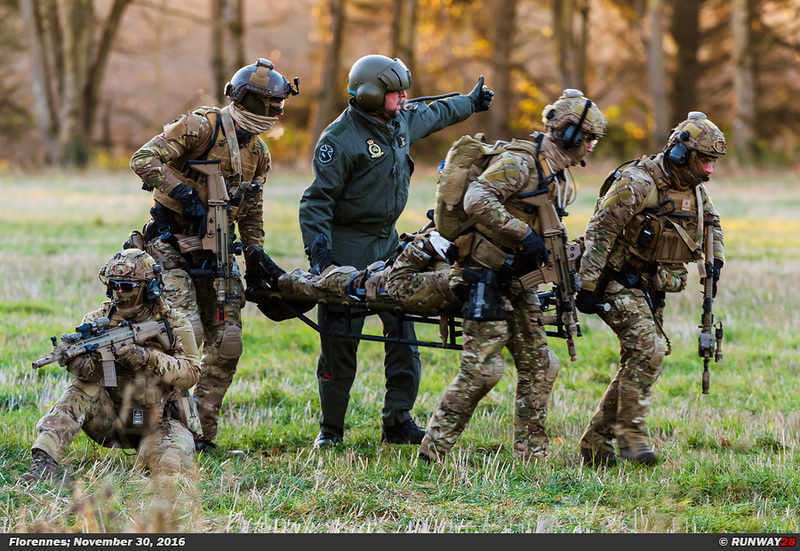 The most commonly used method of evacuation in the world of SOF operations is the Special Patrol Insertion & Extraction (SPIE). 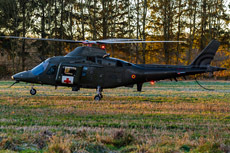 During the SPIE technique a helicopter will hover at low altitude with a rope under the fuselage. 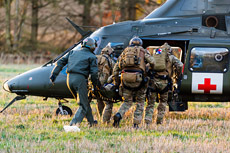 The soldiers on the ground hook themselves onto the rope and are carried away from the dangerous area very quickly by the helicopter. 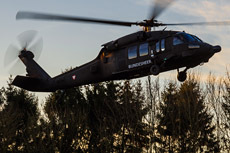 The SPIE method is one of the fastest ways to extract the soldiers from enemy territory. 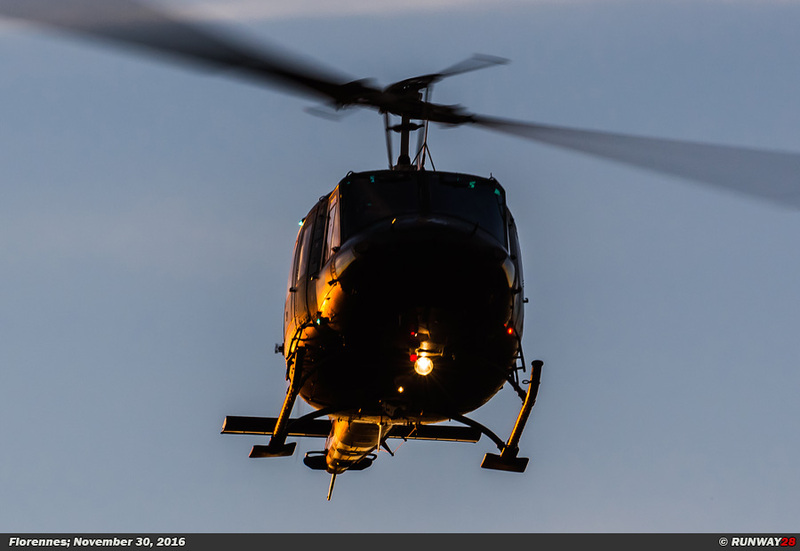 Also the helicopter is exposed to enemy fire for a very short period during an SPIE extraction. In addition to Fast Rope and SPIE, the helicopter can also just land in the field during an action. 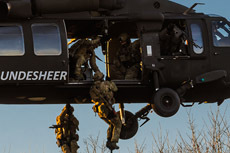 This method of depositing and retrieving soldiers are described in pick-up and drop-off procedures and were repeatedly trained during Black Blade. 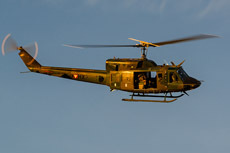 To protect the helicopter and the troops on the ground also techniques such as air-to-surface fire training were practiced. 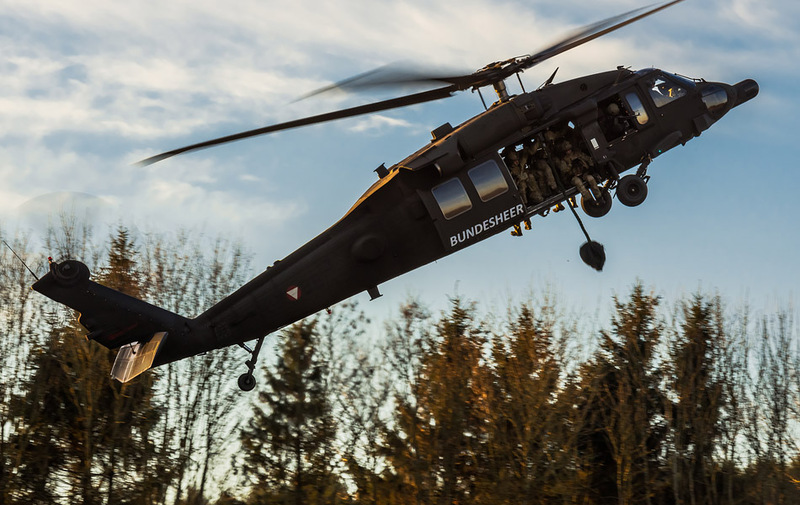 The Exercise Black Blade was developed as a building block in a larger concept as part of the HEP program. 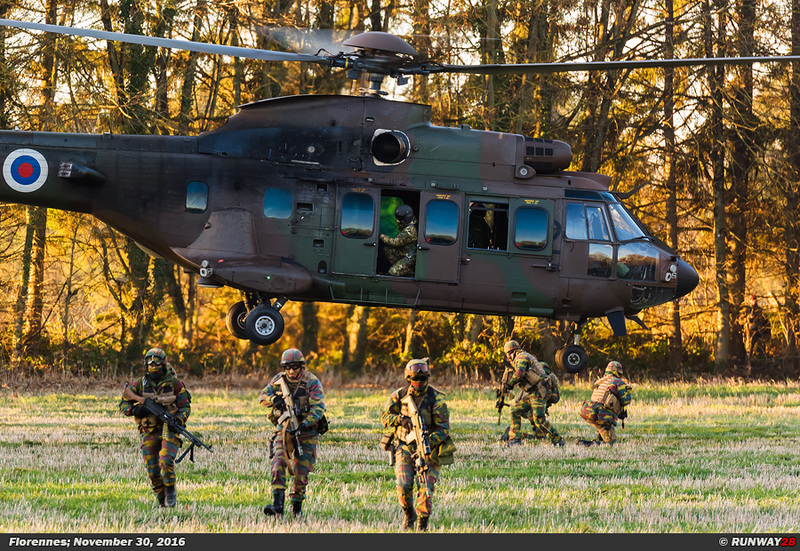 The training was started with a Combat Enhancement Training and Force Integration Training (CET & FIT) phase. 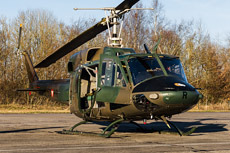 Next, a cross training would take place which was carried out by flying small COMAO missions. 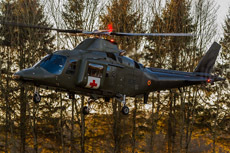 With this structure, participants can build a mutual understanding of the equipment of other participants and the standard operating procedures. 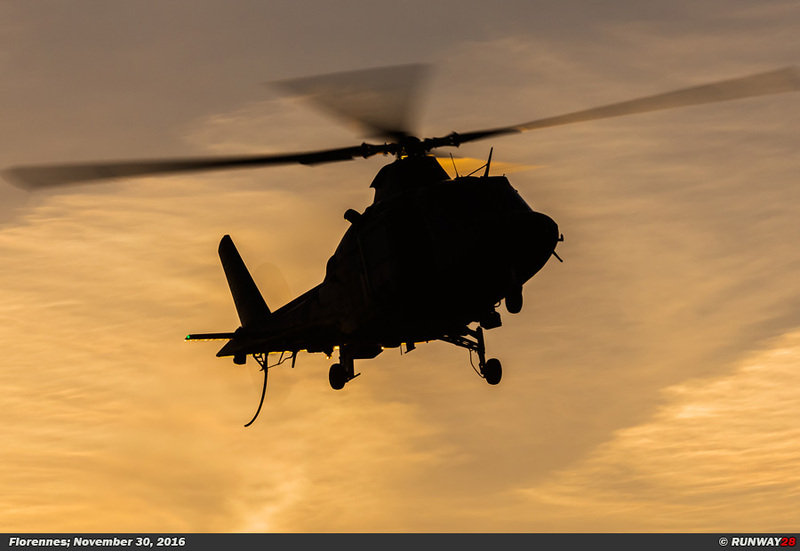 Later during the exercise, the complexity and the number of activities during the COMAO missions will be more intense. 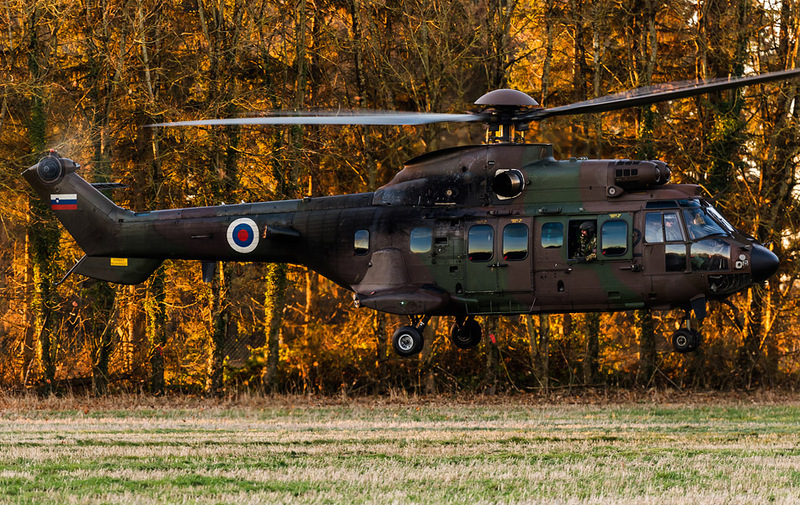 Black Blade 2016 will be based on a commonly agreed way of working according to the HEP program. 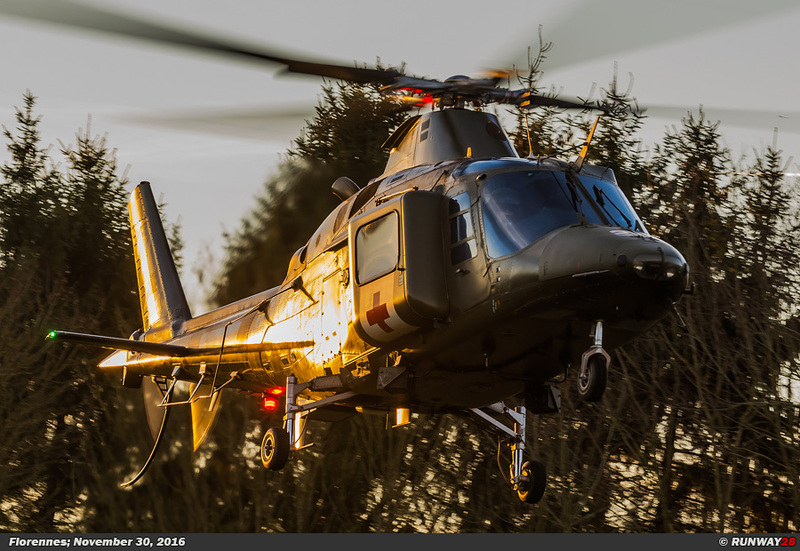 During the exercise the plan is completely revised to reflect the lessons from operational experiences from previous HEP exercises. 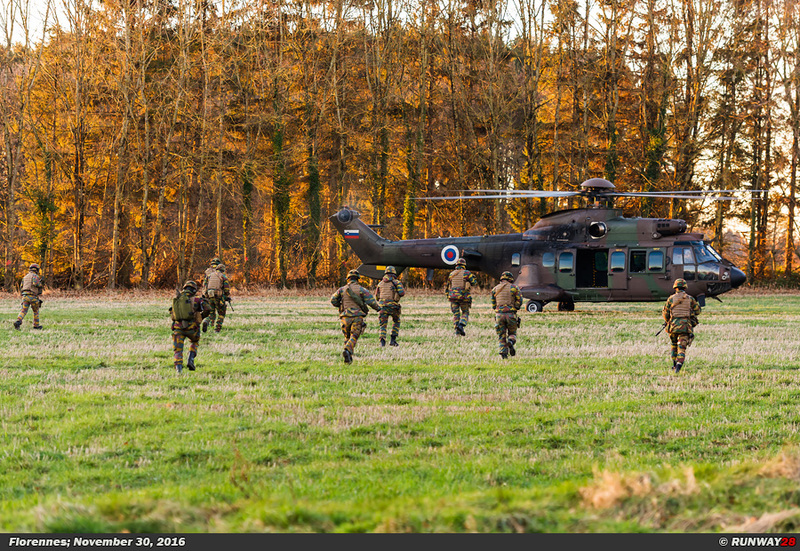 Besides the exercise on its own there is also an international Mentor Team present during the exercise. 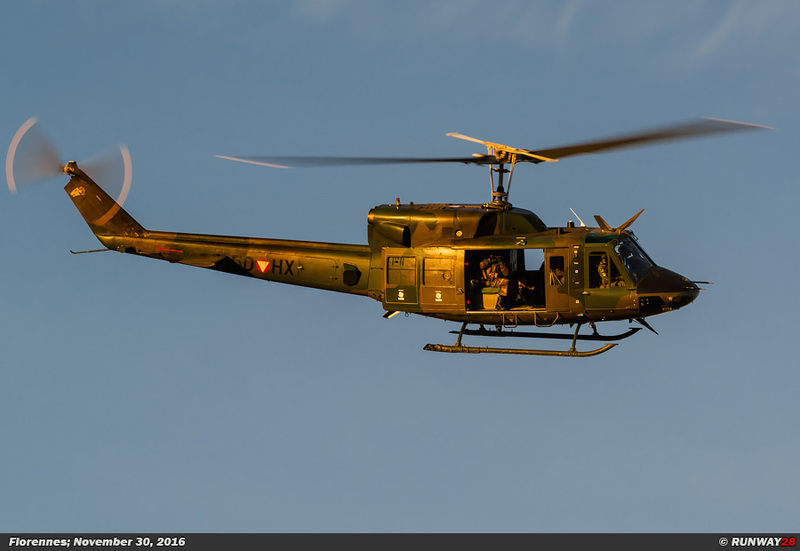 This team is composed of members of the Helicopter Tactics Instructor Course (HTIC). 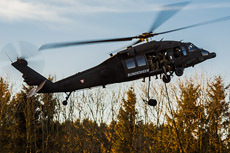 During this training program are tactical instructors trained for helicopter operations. These mentors were invaluable for supporting the EDA Chief Instructor. These mentors were intensively monitoring the participants during the planning, execution and debrief phases of the exercise. The mentors during Black Blade were from Germany, Sweden and the United Kingdom. 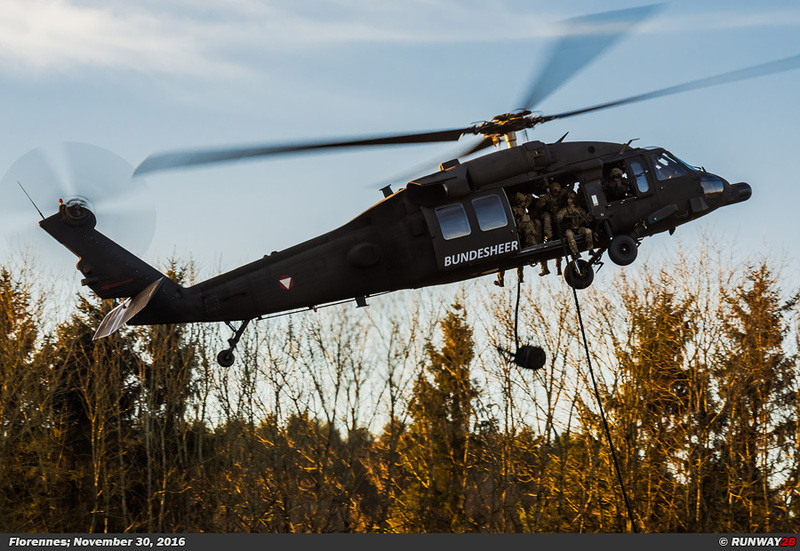 The mentors ensure that the lessons which are learned during Black Blade will be integrated in the next series of HEP exercises.